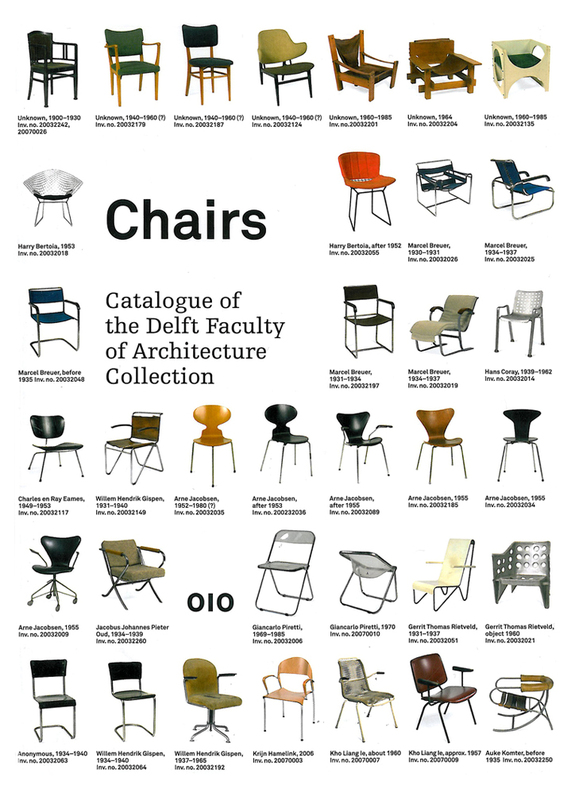 Google books has the 2008 publication Chairs: Catalogue of the Delft Faculty of Architecture Collection available for your online viewing pleasure for free... yep, that's right FREE, just click here. 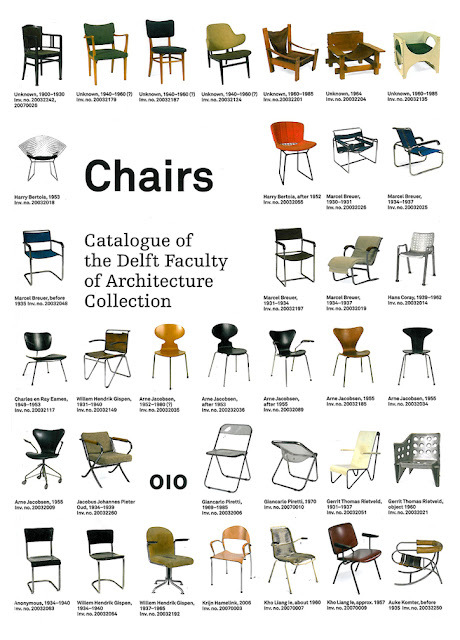 The book features images and descriptions of over 240 chairs from the 18th, 19th and 20th centuries with pieces by designers such as, Verner Panton, Gerrit Rietveld, Jean Prouvé and Ib Kofod-Larsen. 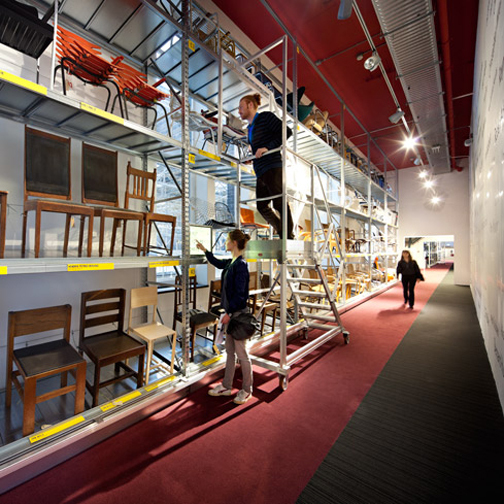 The Faculty of Architecture at TU Delft (Netherlands) has been collecting chairs for teaching purposes for over 100 years. The collection has since grown to some 300 chairs and is considered one of the most important furniture collections in the Netherlands. 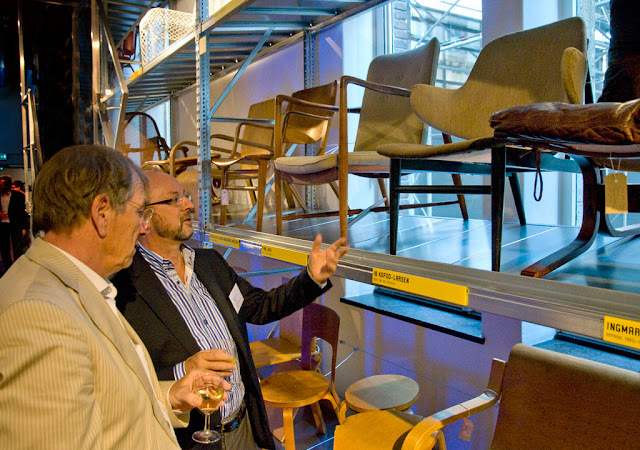 Luckily the famous collection was saved from a devastating fire that destroyed the Architecture faculty building in May of 2008. 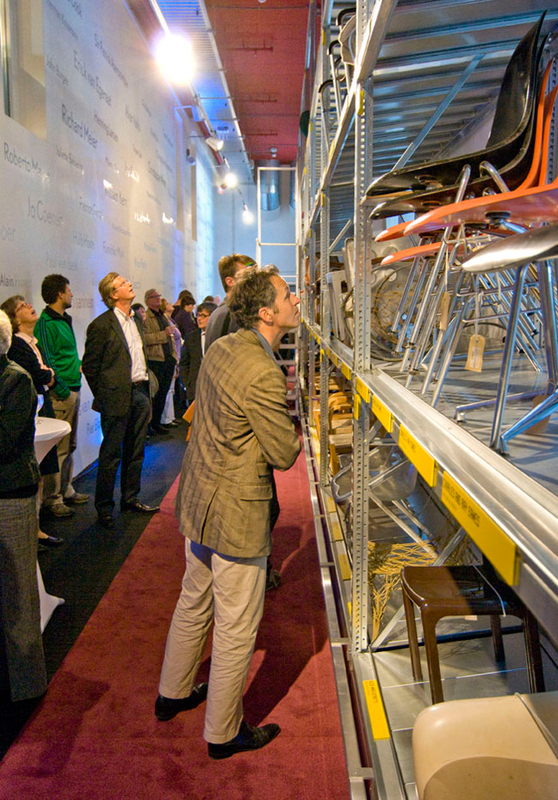 Since 2010 the chairs have been exhibited in a purpose-built 3-story display created by Kossmann.dejong; see images below. 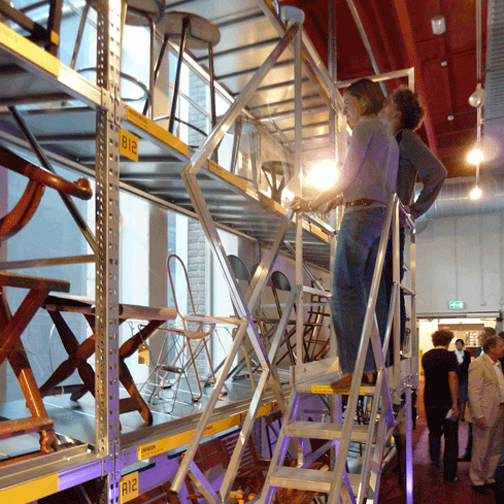 Read about the exhibit here.